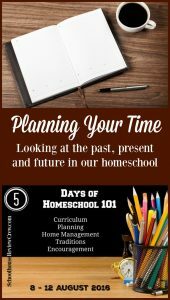 As we usher in 2017, it is time for Day by Day in Our World to partner up with several other homeschool bloggers in the Virtual Curriculum Fair. 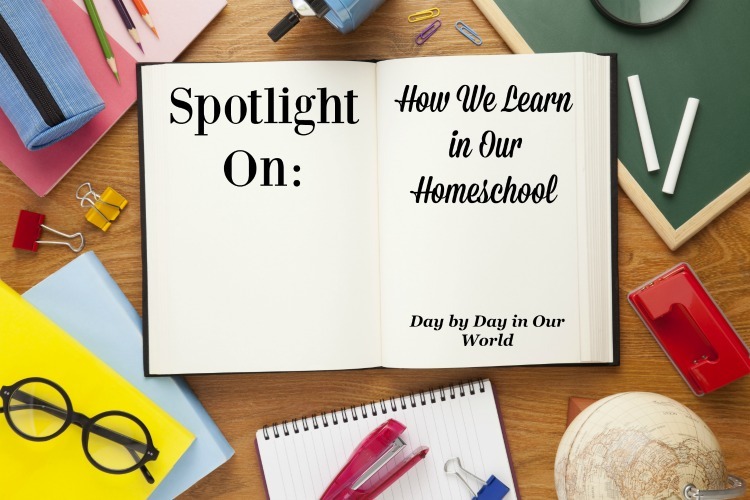 For the first week’s post, we had the theme of “See How We Learn/Welcome to the VCF.” So, I am putting the spotlight on how we learn in our homeschool including some practical approaches to organization, etc. Each year, what I am doing changes. 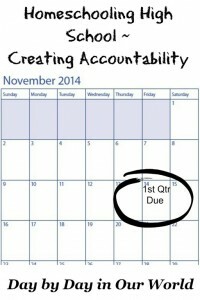 The approach could be dictated by a child’s needs, my needs, or what fits best for a particular subject. I won’t get into the particulars for curriculum being used right now. Rather, I thought I’d talk about the styles of learning being incorporated. Many experts talk about different styles of learning. There are auditory learners who need aural inputs to help solidify knowledge. 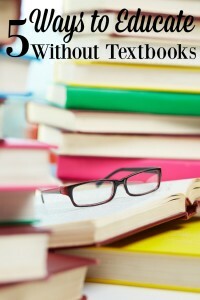 Visual learners like to see media or read a book to get ahead. And, kinesthetic learners want to touch everything or be in motion. My boys have all cycled through the different styles. 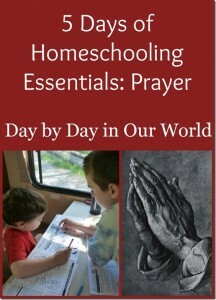 Some subjects lend themselves more towards one approach as well. My youngest is definitely more kinesthetic in math than his brothers working at the high school level. Manipulatives just make sense for elementary students as they are both tactile and visual. I will admit that my older boys tend to be more heavily weighted towards book learning for their subjects. 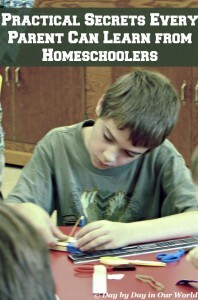 Yes, they still have videos for some things like math or as add-ons for history and science. But, by and large, it is more about reading over the material and then either answering questions orally or written for me to grade later. Science is where we do get a little more tactile as well. You can get a lot from a book, but seeing something in action really drills it into your memory. Okay, so this is where it can really get chaotic. 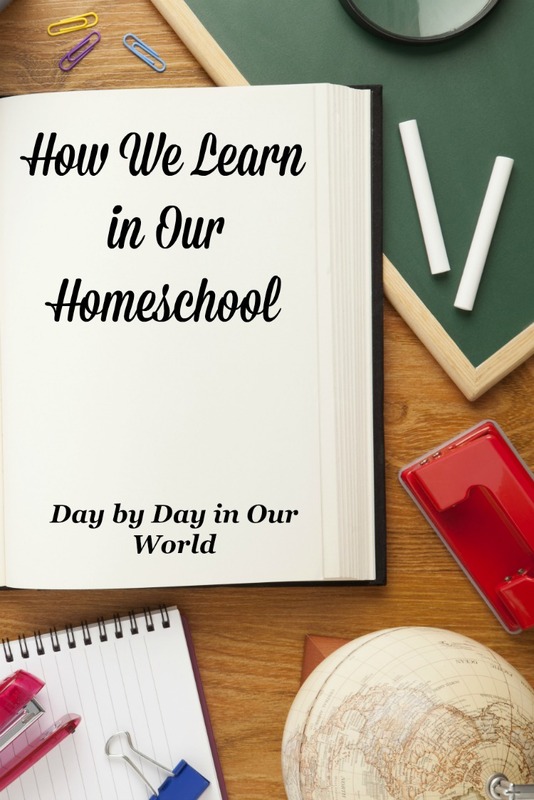 We use the WHOLE house for learning. My older boys have their preferred spots in the downstairs. They often read in their shared bedroom and then use laptops or iPads in the large common room. My youngest does some work with me at a desk downstairs and some at the dining table upstairs. There are times of the day where I keep him upstairs with me. We might be working together on school or he might be reading or watching a show while I get other work done on my laptop. Whatever our activity, the focus at that time is to provide a quiet environment for the other boys. Science labs are done exclusively upstairs. I am teaching both a high school physics class and a middle school science lab with a focus on physical science. Much of the class it everyone sitting at the dining table. Then we expand to other parts of the common area based on what we need to do. What I have found is that our environment has turned into a massive mess of chaos. The large downstairs common area is used for both school and recreation. It is hard to focus at times when more fun things (e.g. the Wii, LEGOs, or board games) are all calling your name from across the room. 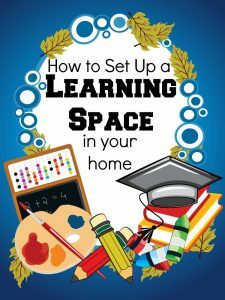 I have several other posts from the past which tackle the topic of how we approach learning in our homeschool, including environments and planning. 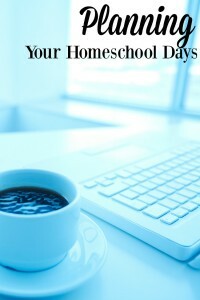 Listed below are the 20+ homeschool bloggers participating in this week’s’ link up. Have a post to share that fits this topic? Add it to the linky for all to see! We did the marshmallow molecules too! It was lots of fun. My middle school class loved it, too. Unfortunately, it was week 1 and after that they kept asking what we'd be doing that they could eat. Baking a cake from scratch appeased them, but I almost think they'd love nothing but kitchen science / cooking. 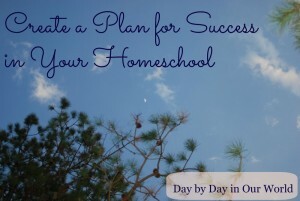 I love using the whole house for the classroom. 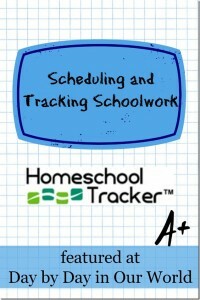 This allows the kids to know that learning can happen anywhere! We love sitting at the picnic table when the weather permits as well. The marshmallows! Edible math manipulatives are the best. 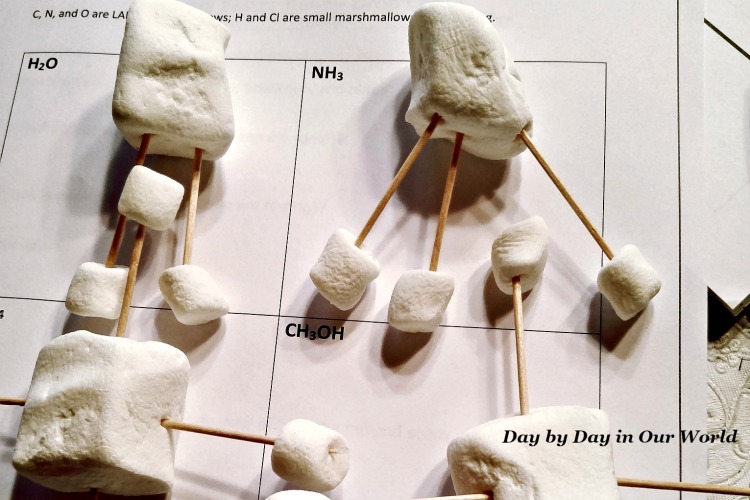 For that science class, edible anything is the best. They were daring each other to drink cabbage water! I have one very visual learner and one who does great with auditory materials, but nothing beats a lesson with FOOD! 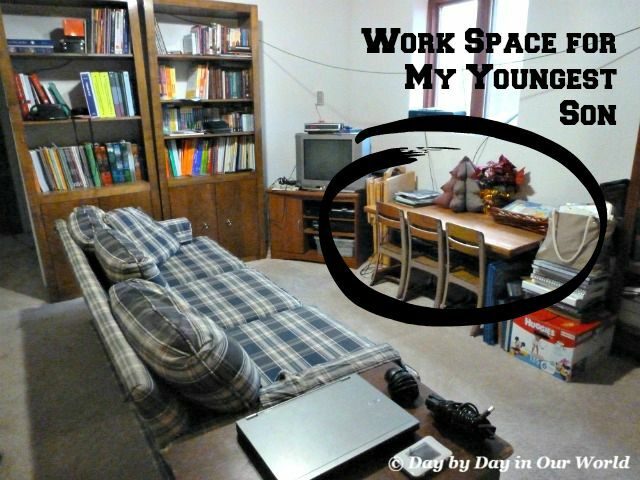 We have an official "school/craft room" but we tend to be all over the house any way. My kids love edible school. Ah, yes, the edible projects. My kids still ask if they can make edible maps any time we talk about geography. We also tend to use the whole house (and then some---when the weather is fine, there might be a kid in the hammock or at the picnic table). You know, I've never done an edible map! I might need to consider it for my youngest son when we start digging into geography more. It is important to recognize and understand your child's learning style. It can mean the difference between pulling your hair out or everyone having a pleasant learning experience.